Strategic Wealth Partners | Financial Planning & Investment Advisory Services for High-Net-Worth Individuals, Families, Business Owners, Retirement Plan Sponsors & Institutions > 1 Financial Planning > Are You Properly Maintaining a Healthy Credit Score? Many people believe that wealthy individuals automatically have a good credit score. But this is not always the case. A surprising number of factors can create a lower score than you might expect. So, what should you do to maintain a healthy credit score? Understand what affects your score, manage your credit appropriately and regularly review your credit report. Payment History: Making timely credit payments is one of the most important behaviors that determine the health of your credit. Amounts Owed: Credit agencies like to see you charge up to about two thirds of your credit card limit. This is called the utilization ratio. So don’t just use one credit card to the limits. Use all of your cards frequently. This signals that you are in control of your purchases. When considering closing old or unused accounts, be mindful of your ratio of total amount owed to total credit available. Decreasing the amount of available credit could actually hurt your credit score. Type of Credit Used: The ability to balance multiple types of credit will help boost your credit score. 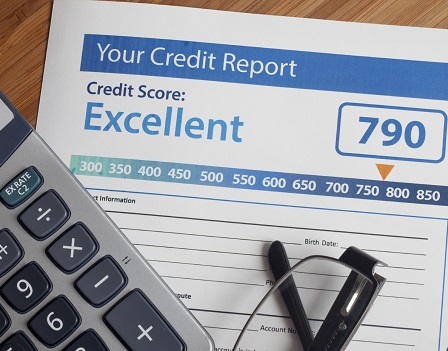 The highest credit scores contain a mix of credit including revolving debt (credit cards) and installment loans (student loans, car loans or mortgages). New Credit: It is recommended that you open and use a handful of credit lines in order to maintain a high score. Having too many can obviously hurt your score, but surprisingly, so can having too few. Length of Credit History: A longer credit history generally helps your credit score because you appear to be able to more reliably manage credit. Think twice about closing a credit card, especially if it has a long history. Also, it’s best to avoid applying for or closing a credit card at the same time that you are applying for a mortgage. The three credit reporting agencies are Equifax, Experian and TransUnion. The Fair Credit Reporting Act (FCRA) requires each of the nationwide credit reporting companies to provide you a free copy of your credit report (which is not the same as your credit score) at your request once every 12 months. Under the law, the only website authorized to fulfill requests for free annual credit reports is www.annualcreditreport.com. Other websites that claim to offer “free credit reports” are not part of the legally mandated free annual credit report program. To order your report, you will need to provide your name, address, Social Security number and answer a few very specific questions to confirm your identity. Let’s assume you have a long credit history, make timely credit payments and have a low balance relative to the amount of credit available. All signs of a good credit score. But what if your credit report contains an error? According to the Federal Trade Commission, 1 in 5 credit reports contain material errors. A single error can significantly impact your (otherwise healthy) score and can potentially hold you back from taking out a loan or securing a new job. Look carefully at your credit report and exercise your right to dispute any errors. So what should you do if you find an error? Contact the credit reporting company: Send a certified letter explaining the errors and include any documents that support your position. The credit reporting company is required by law to respond to your letter within 30 days, as well as contact the organization that reported erroneous information. Contact the organization in question: Send a letter to the organization in the same manner as you did the credit reporting company. If the information is found to be false, the organization must tell the credit reporting company to remove the error from your report. Even though you are financially secure, it’s important to maintain a healthy credit score and know how to handle any errors that may appear. For additional information, visit www.consumer.ftc.gov.